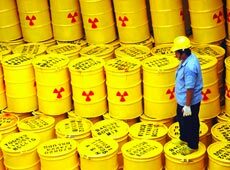 The NEWMDB contains information on national radioactive waste management programmes, radioactive waste inventories, radioactive waste disposal, relevant laws and regulations, waste management policies, and plans and activities. The first NEWMDB data collection cycle was conducted in March 2002 (for year 2000 data). Subsequent collections have been performed annually from 2004 onward. After each NEWMDB data collection cycle, the Agency prepares a compilation of NEWMDB reports that can be viewed on-line or downloaded. 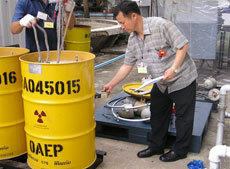 Profiles are provided for each participating Member State and include summary data and other information concerning each country's respective radioactive waste management program. The Library feature is a "portal" to documents and other information about radioactive waste management. Each Member State that participates in the NEWMDB has its own section. The Data Centre is the place to browse and query the data in the system. View information by country, region, or global summary. What is the remaining Disposal Capacity per country? Which countries report DSRS, waste from Nuclear Power Plants, Nuclear Applications or Defense Programmes? 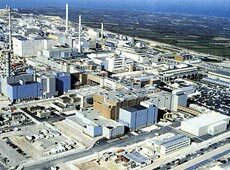 How much waste can one expect from a NPP Programme? 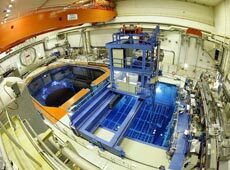 How much waste is generated from Decommissioning & Environmental Remediation?